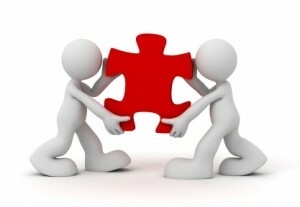 Working together to solve the content marketing puzzle. People assume that only blogs and guest posts make up content marketing. And they are great for brand building and search engine optimization. Quality blog posts do propel your website upward in the search engines. However, they aren’t the only pieces of the content puzzle. In fact, some of the more “traditional” forms of business writing can be tweaked to become highly effective content marketing. Website content – The pages on your website are more than just an online business card. Like a card, they display your contact information. However, web pages also showcase your expertise, personality and integrity. Case Studies – These are excellent forms of content marketing because they outline the challenges faced by a current client and how they were able to solve it with your help. White Papers/Special Reports – These are long-format information pieces. I like to call them “stealth marketing” because you aren’t using direct selling techniques to influence your prospects. But you still get your pitch in there. Email Auto responder Series – Here’s a great way to use content marketing. An auto responder is used to “drip” content to your prospect without making them uncomfortable. When they’re written effectively, the prospect comes to see you as a likeable expert and will want – or even feel obligated – to at least check out your offering further. Press Releases – These documents can be used for marketing; however, they should be used sparingly. If you concentrate on the other forms of content, you’ll definitely have press release fodder. Of course, direct response sales copy and other forms of direct marketing are still extremely important. We might want to discuss some options when we get together and design your strategy. 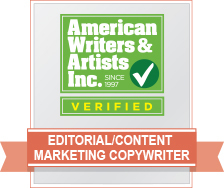 But properly written content in any form promotes you as someone the prospect can get to know, like and trust. That change in attitude alone is worth its weight in gold to your business. What about social media, you might ask. Social media is helpful, but . . . it can’t take the place of the media you produce for your website. Your site is the platform for your message. Twitter, Facebook, LinkedIn and even Google+ are merely escalators to that platform. Don’t build your business entirely on social media; but do use social networking to grow it. Contact me today and let’s see what dynamic strategy we can design to build your business. The initial consultation is free and if I feel I can’t help you, I’ll say so.